The much anticipated dance reality show DANCE234 has unveiled its judges. 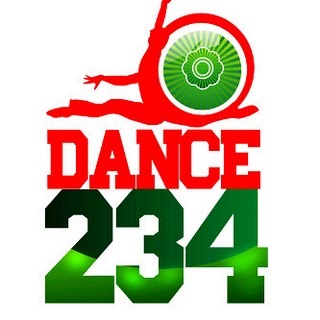 Bringing a refreshingly new dimension to dance reality shows and for the first time accommodating all genres of dance as well as according importance to them, DANCE234 is all set to redefine the dance culture in Nigeria. One of the Judges of DANCE234 is Ini Nbang also known as Brandiny. 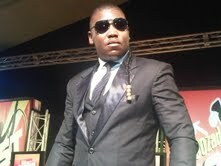 He is a Nigerian from Eket, Akwa Ibom state. He is the son of His Eminence Dr.Sunday Mbang CON and Bar.Mrs Mbang. In the year 1998 Brandiny joined the Spirit of David gospel dance club and he became one of the best and top dancer and choreographer of the club.In the year 2002 Brandiny established the award winning dance team (THE MASK).This dance team has performed in over 800 concerts within and outside Nigeria (World Health Day Cyprus, Youth Media Forum Mali, Gulder Ultimate Search Finale Nigeria, Hip hop World Awards Nigeria, Nigerian National awards ceremony etc).THE MASK was awarded Nigeria’s Team of the year 2006/ 2007(future awards), Nigeria’s Dance Group of the year 2007, 2008(Icon awards). He has been a judge at several Dance competitions such as Bring it on National Championship 2009 Lucozade boost freestyle TV show 2010 and others, he is optimistic that DANCE 234 will redefine the dance culture in Nigeria. 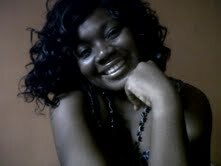 Preere Yebowei is the second person appointed as judge for DANCE234. She graduated from university of Ibadan with a degree in theatre arts. She is a proudly Nigerian professional dancer who see dance as the strongest means of communication because its subtle but informative. She was a dance consultant to the famous Gwape, the Niger State Cultural Troupe and for three years running, Preeye has been part of the Prestigious Bayside Band at the Calabar Christmas Carnival, led by the former governor of Cross River State, Donald Duke. Preere whose versatility as a performer is her strongest point had her fair share of acting in Doctor’s Quarters, and Wetin Dey. She was once a judge for the ‘Maltina Dance All Family Reality show’ and now she says she believes DANCE 234 is going to be a blast. Still expecting another judge from abroad and speaking on the choice of judges, Jemila Musa the producer of the show whose production skills has also been brought to bear on well known reality shows such as ‘Celebrity Takes 2’ season 1 & 2, ‘Malta Guinness Street Dance Season 1, 2 & 3, Opa williams’ ‘Comedy Challenge’, and ‘Peak Talent Show’ in time past said ‘we just did not want to choose a judge but we wanted people who understood the craft of dance and could spot a talent, this was what informed our choice of judges’. IT IS DELTA FASHION WEEK !!!!! !